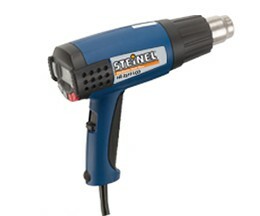 STEINEL HG 2000 E is a powerful heat gun with variable temperature and electronic thermocouple control for flexible use and maximum reliability. STEINEL’s exclusive DuraTherm heating element ensures long life and even heat. STEINEL HG 2300 EM combines powerful output with an ergonomic, easy to use design. Variable temperature and airflow control ensure a perfect job every time. The HG 2300 EM features ultra quiet operation, fast heat-up, and thermocouple control enabling you to reduce air to a pinpoint. Its modular construction is easy to repair, with heating element and power cord both conveniently field-changeable. 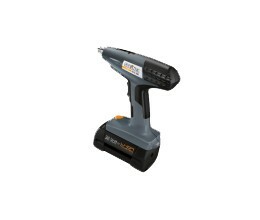 HG 2310 LCD Programmable IntelliTemp™ Heat Gun features LOC Locable Override Control™ of temperature and airflow output settings. LCD display enables temperature selection in 10°F increments. The HG 2310 LCD is ideal for use on electronics, aerospace, medical manufacturing and other applications requiring precision control. STEINEL HG 4000 E features a continuously variable temperature and airflow regulator, a digital display of actual and selected temperature, an intelligent motor control system with a brushless motor and a plug-in, easy to change element. With pinpoint accuracy, the HG 4000 E in conjunction with the appropriate nozzle is ideal for welding copper and plastics. 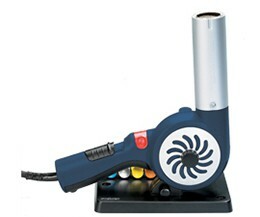 The electronically controlled HG 5000 E hot air gun is the professional tool for efficiently heating major areas. A powerful expert for shaping and heat-shrinking, for installing machines, for drying damp surfaces as well as for stripping paint and removing adhesives. The powerful motor delivers up to 800 l of hot air a minute through a generously sized 50 mm Ø outlet nozzle. Air flow and temperature can be infinitely varied. Features: brushless, high-performance motor with a long life of approx. 20,000 hours. Heater with a life of approx. 800 hours. Fully electronic temperature and airflow control. 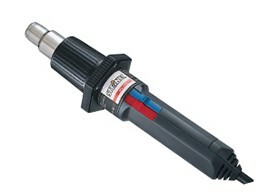 Intelligent motor and temperature control. Temperature display showing selected and actual temperature. Easy-to-read LED segment display. Sturdy single-piece enclosure. Barrel shape for optimum stationary use. Service-friendly: The heater is easy to replace, the power cord can be changed without opening the enclosure. The HB 1750 has been specifically optimized for drying efficiency and for heat-shrinking tubes and sleeves on thick cables. With its powerful li-ion rechargeable battery, the cordless version of the practical HG 350 S provides independence from the mains supply and unrestricted movement while performing hot-air work. The li-ion powerhouse in the BHG 360 Li-Ion delivery a capacity of 2600 mAh at a voltage of 36 V. Power for 15 minutes of unrestricted work. The li-ion rechargeable battery has no memory effect and minimal self-discharge. 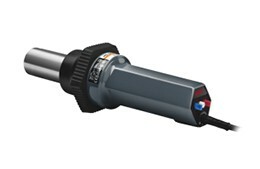 This means the BHG 360 Li-Ion hot air gun is immediately ready for use even after prolonged idle times. The charging unit provided recharges the battery to 75% after just 30 minutes and fully in 60 minutes. 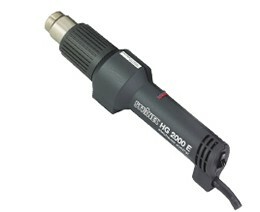 Otherwise, the BHG 360 Li-Ion hot air gun shines with the same qualities and features as the corded version: particularly suitable for soldering, desoldering, terminal soldering and heat shrinking with perfect results. Gets hot air to where it’s needed – easily and precisely. The ergonomically shaped soft grip handle is comfortable to hold. Compact in design, it fits into any tool box or service case without a problem. With integrated LED lamp for bright light and working safety, even in the darkest of use situations. With temperature indicator that signalises whether the outlet nozzle is still too hot to touch. 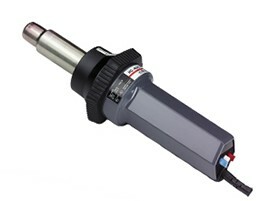 Feature: lightweight, ergonomically optimised hot air gun. Integrated LED light. Integrated ring for hanging the tool. Thermal fuse. 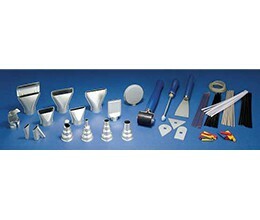 ESD safe (suitable for use in electrostatically sensitive areas). Temperature display “Thermo-Signal”. Three-stage switch with OFF/COLD/HOT settings. Different parts are available. For more information please e-mail us at sales@aepint.nl.